Okay, so for starters, I'm not a fan of shawarma. But my boyfriend and his friends are on the search for the best and authentic shawarma in town. This isn't your typical shawarma stand on LRT/MRT stations. What they or should I say 'we' (because I'm part of the searching team already. LOL), look for are the authentic ones. Those are carefully made from fresh produce and stays true to the real taste. There are those that claim they are the best shawarma in town, but there are those that claimed their shawarma isn't the typical ones but is definitely authentic. 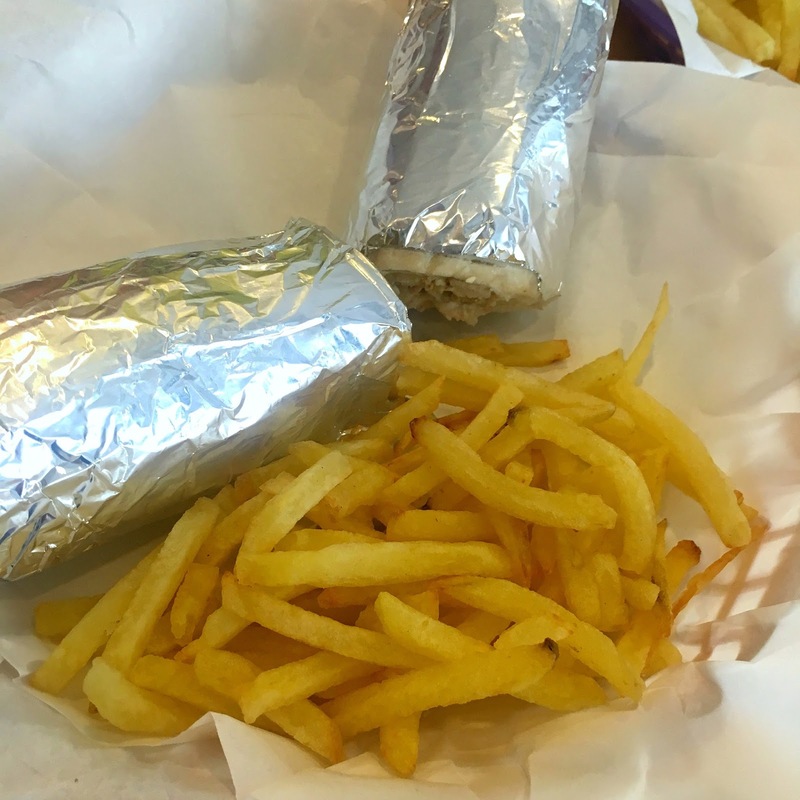 One of those is Boy Shawarma. 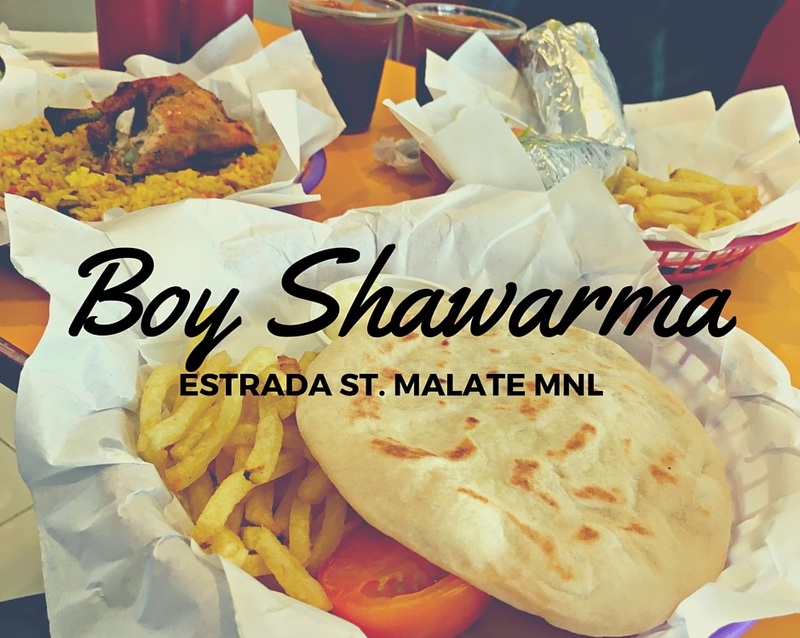 Boy Shawarma isn't new to my boyfriend, but it is for me! 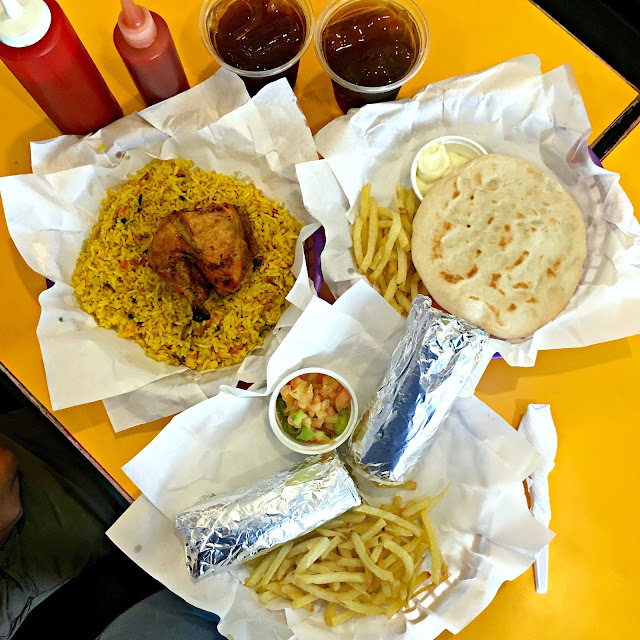 And actually, even though I'm not into arabian or indian foods, I don't mind sampling lots of shawarmas for the rest of my life because food is <3. So one weekday morning, after doing some errands around Manila, we went straight to Boy Shawarma. This craving was from the disappointment we had when we wanted to eat and try Meshwe at Maginhawa but unfortunately they were close during Mondays. So what better way can we move on? 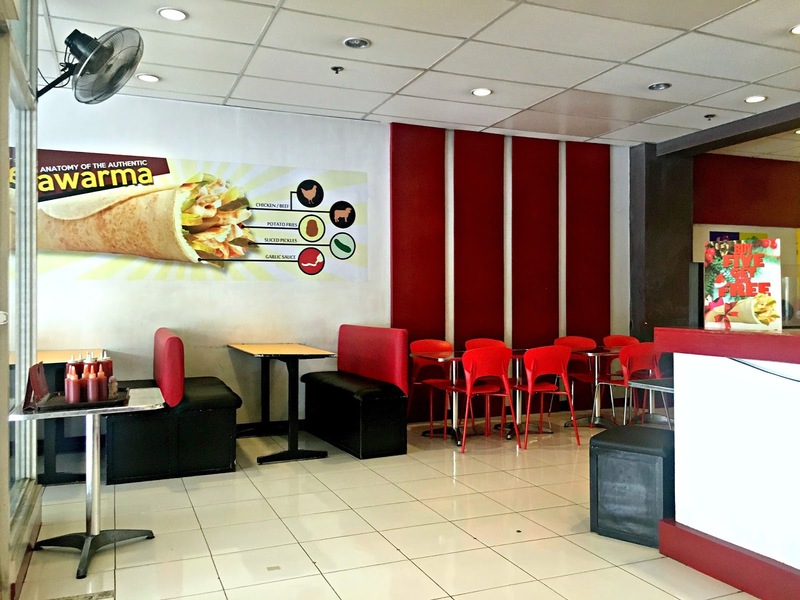 Eat at another shawarma joint! I must say, food is very yummy. 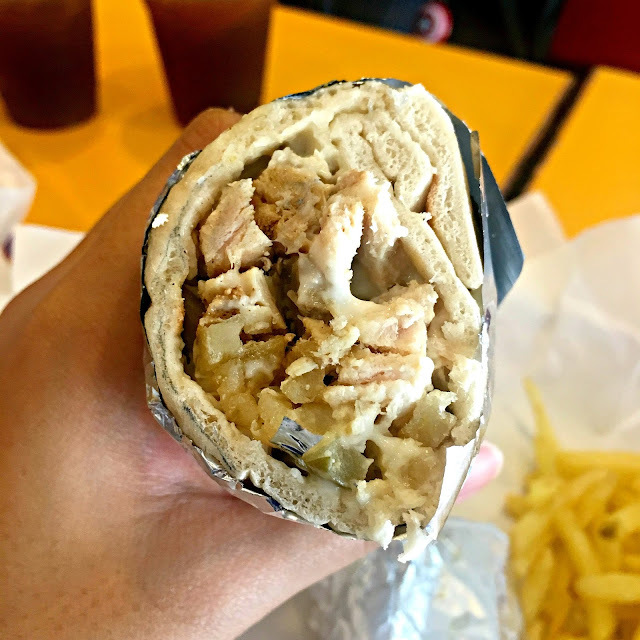 I really don't know how a real shawarma tastes like because I haven't been to Saudi or other countries that have shawarma as their staple food for that matter. 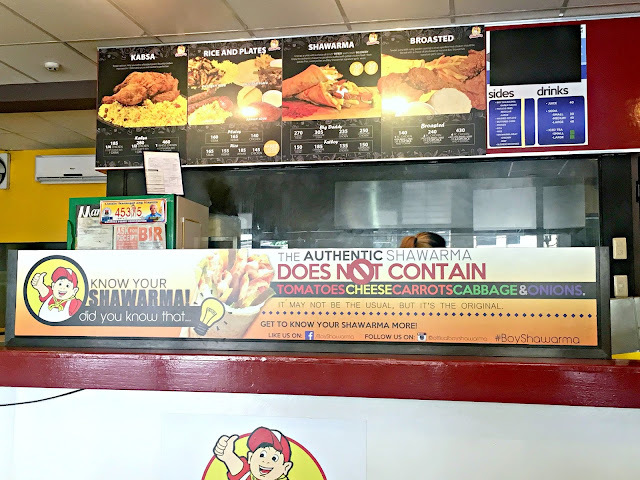 But all know is Boy Shawarma's shawarma is definitely something not the usual. It doesn't have cabbage, or cheese, onions, and other stuff. It has fries and pickles which made the wrap different. The meal is heavy too! 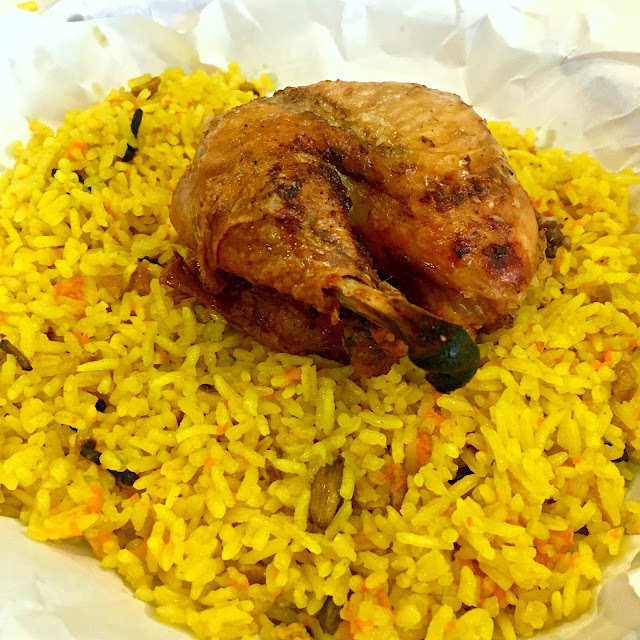 We ordered kabsa, kebab wrap, and classic chicken shawarma. 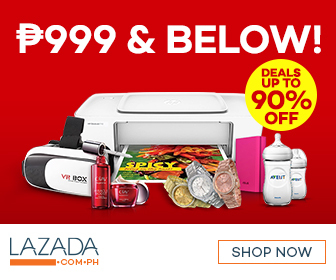 Price is reasonable and affordable too if you would ask me. What they don't have though is unlimited serving of the garlic sauce you put in a shawarma. It is very flavorful that you want to have lots of it. Though you have to pay for it if you want to have another serving. Their kebab wrap on the other hand is just so-so for me. I like the kebab of mazza more. What made the kebab wrap appealing to me is their garlic sauce and grilled tomato. 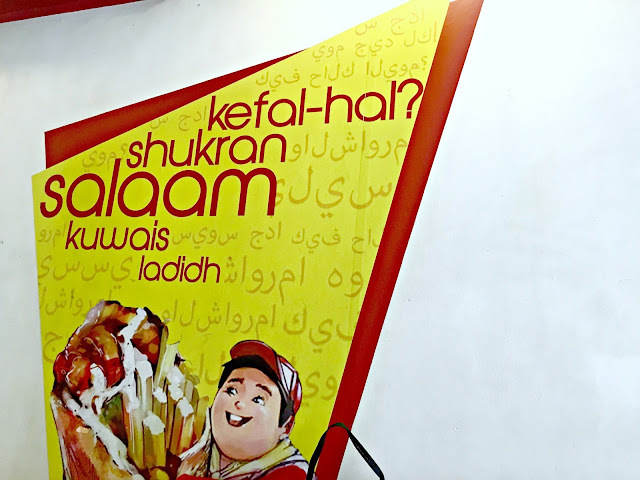 The shawarma anatomy. No tomato, cheese, carrots, cabbage, and onions! We dine here at around lunch time and the place gets full during these hours. I'm glad I was able to try this. Next on our list is Meshwe. And hopefully it doesn't disappoint us! haha. So aside from our usual on the search for the best ramen and curry, we now added the search for the best shawarma in town. haha!